Discussion in 'General chat and banter' started by storm shadow, May 23, 2013. 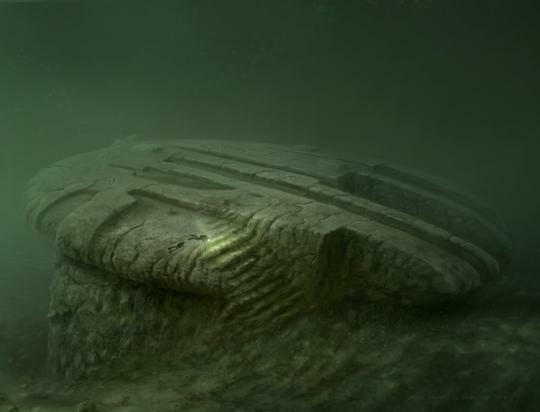 Swedish treasure hunters may have found a UFO in the Baltic Bothnia between Sweden and Finland. 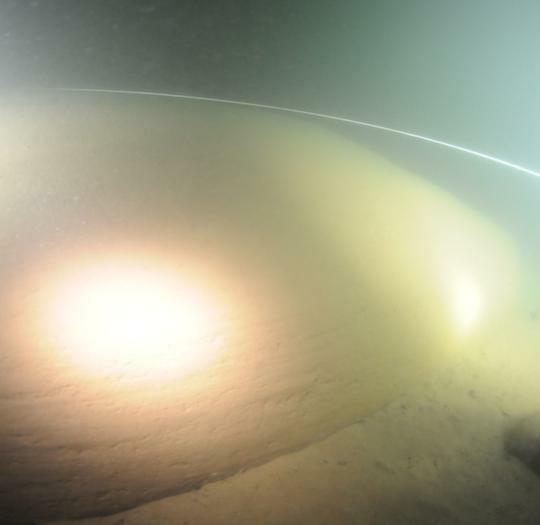 At least confirms a team of Swedish self-proclaimed treasure hunters called Ocean X Team that during some dives in the Gulf of Bothnia found a not identifiable object. The divers initially thought they had encountered a rock, but having looked at it, it looked like more of a giant mushroom. It was up to three to four meter high with rounded sides. At the top there was an egg-shaped hole that served as an entrance to the strange object. Additionally, there was a lot of circles on top that might look like small fireplaces, writes Ocean X Team in a press release. - I've never seen anything like this during my 20 years as a diver, which included 6000 dive. Normally burning stone not. I can not explain what it was I saw, says one of the divers from the team Stefan Hage Born. - We thought at first that there just was no stone. But since there has been no eruptions in the Baltic Sea, it makes no sense. As laymen one can only speculate about whether it is nature's creatures, but the strangest thing I've ever experienced in my career as a diver, says the founder of Ocean X Team Peter Lindberg. Experts are studying the object closer. In June 2011, the divers Dennis Åsberg and Peter Lindberg, a mysterious discovery on the Baltic seabed. 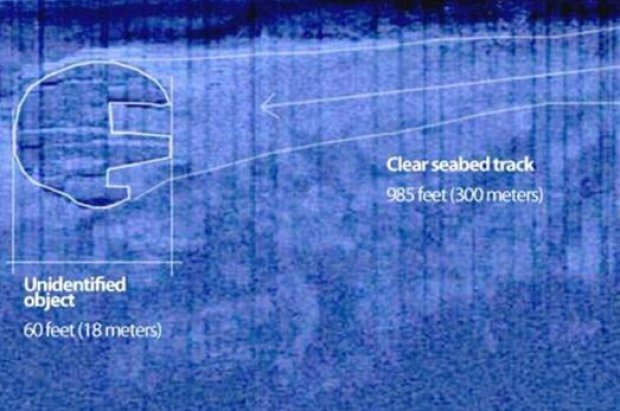 Ocean X team found a circle with a diameter of 60 meters almost 90 meters into the sea. Previous test results from Tel Aviv has shown that there have been burning organic material on the circle. Professor Dr. Steve Weiner of Israel says to the divers that there is a metal that is not nature can produce itself. - I do not know what to believe anymore. The response from Tel Aviv, the object that we found a metal that is designed, makes you get goose bumps, says diver Dennis Åsberg. "It is not at all surprising"
Swedish scientists have a different view. - Limonite and goethite close to hand with the BOG-IRON ORE. For me lean this it could be nodules, there are many seabeds, says Fredrik Klingberg, a geologist at the Geological Survey of Sweden. - It is not at all surprising that you found those subjects, nature can produce it yourself, he says. The divers also found the stones of granite lying on top of the object and received information that indicates that the object has been there for 14 000 years. - Then it could be done by people in the past. Before the Ice Age low it's a lake where the Baltic is now and the subject is on the coastal strip, said Dennis Åsberg. Martin Jakobsson think this sounds reasonable. - I have said it before and are still clinging to it - it seems to be a geological objects that had lain there for long. Ambiguities about the mysterious circle makes scientists skeptical. Dennis Åsberg agree that it is mysterious - but says he's happy to receive help to find out what it is. - All are welcome, they are welcome to come down and dive here. We can not do it, we do not have the resources required, he says. gonna be fun to see what it is when they get it up, i just hope it isent the plug for all the water. Don't you guys have some old stone buildings above ground that are like that? How nice, I was wondering where my ship got to!